Saturday, January 30 from 10 a.m. – 4 p.m. Parking is free and available in the Green Lot. Fans can enter through the Museum Gate beginning at 10:00 a.m. A List Members (Season Ticket Holders) can enter through an exclusive entrance at the 755 Club, located at the east side of the Will Call windows in Monument Grove. Youth Activities: During the day, youth 14 and younger can take part in a kids-only press conference, interact with the Home Depot tools and attend a book reading with a Braves player in the Reading Room. Kids’ Reading Room: The Kids’ Reading Room will be set up in the 755 Club and open to youth 14 and younger all day. Everybody Wins! Atlanta, a youth literacy organization, will have an information booth set up outside of the Kids Reading Room, and will also be collecting children’s books as donations during FanFest. Roundtable Discussions: Fans can attend panel discussions featuring current players, top prospects, alumni and front office executives. All discussions will be held in the Champions Room of the 755 Club. Turner Field Tours: Tours of Turner Field will be offered every fifteen minutes starting from the Club Level behind home plate. Merchandise: Braves merchandise will be on sale during this event. A “Yard Sale” will be held on the Club Level with other Braves items on sale to benefit the Atlanta Braves Foundation. Concessions: Several concessions options will be available for purchase. All food & drink concessions will be 33% off for all Braves fans, a typical benefit reserved just for A List Members (season ticket holders). 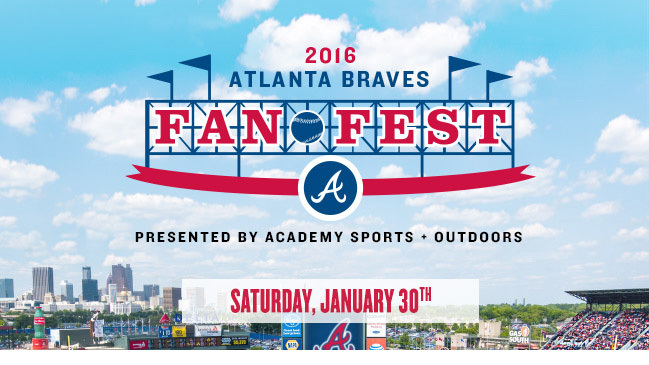 Winter Clothing Drive: The Braves will be collecting winter clothing during FanFest to benefit the Atlanta Mission. Fans are encouraged to donate new or gently used coats, boots, gloves, scarves, hats, blankets, socks, long sleeve shirts, long pants, sweaters, umbrellas or rain ponchos. Fans can drop off their items upon entry to FanFest, and the donated items will go to thousands of Atlanta’s underserved seniors, adults and kids. Is there any chance of you getting any discounts on Hawks tickets? This can be a great tip especially to individuals a new comer to the blogosphere. Simple but very precise information Thanks for sharing this one. Great website, ensure that is stays up! is in fact fastidious and the users are genuinely sharing nice thoughts. Thanks for sharing your thoughts about reviews. Hi there! This is my first vacation to your blog! possess done a marvellous job! Very nice post. I simply came across your blog and wished to express that I have really enjoyed browsing your site posts. In the end I am going to be subscribing to the feed and i also hope you write again soon!